Rich in history and bursting with colorful scenery, Mexico is world-famous for its hot beach destinations, diverse landscape, and flavorful cuisine. Bordered by the United States and Central America, this country offers a welcome respite to vacationers looking to relax in the sun or those looking to have an adventure. 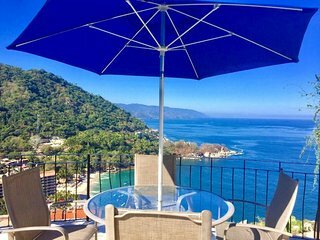 Mexico vacation rentals are available in many cities and regions throughout the country offering the perfect place to stay during your getaway. Divided by the Tropic of Cancer, part of Mexico falls into a tropical climate zone, while the other part is in a temperate zone. Since the temperature can vary from one destination to the next, it’s important to pack appropriately. If you’re staying in Mexico vacation rentals along the Pacific or Gulf Coast, bring your swimsuit and sunglasses and expect relatively warm temperatures year-round. The mountainous and central parts of the country inland see cooler temperatures, while the northern region experiences very hot temperatures during the summer and extremely cold weather in the winter. Mexico is made up of 31 states, but it’s easiest to think of Mexico as split into three main regions: Northern Mexico, Central Mexico, and Southern Mexico. Northern Mexico: The northern part of Mexico is full of untouched natural beauty, and mostly consists of desert landscapes, nature preserves, and mountainous areas perfect for hikers, climbers and campers. Major cities include Chihuahua, Tijuana, and Ciudad Juarez. Central Mexico: This part of Mexico is known for its “Old Mexico” feel with major agriculture operations, colonial-style buildings, and early Mesoamerican influences. Central Mexico is home to the country’s capital, Mexico City, and is the most important political and economic part of the country. Southern Mexico: The southern part of the country is a hub for ecotourism. The landscape is a mix of seacoast, jungles, marshes, and mangrove forests that vacationers can explore. The area is also still alive with native Mayan culture and boasts a great amount of temples and towns to discover. 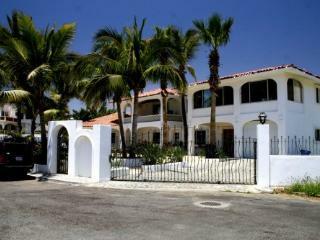 The coastal parts of Mexico are also worth noting, since many vacationers visit this country for its impeccable beaches. The Baja Peninsula and the Pacific Coast are lapped by the waters of the Pacific Ocean. Here, the waters and the weather are warm and vacationers will find adventure in every town. The Yucatan Peninsula has beaches that touch the Caribbean Sea and Gulf of Mexico. Visit this part of the country for breathtaking coral reefs and amazing scuba diving spots. Whether you’re staying near the beach or farther inland, you’ll always find something unique to see and do in Mexico. Sunny Cancun offers gorgeous beaches, like Playa Delfines and Playa Chac Mool, boating and ziplining adventures, and many places for sightseeing, including El Rey Ruins. Take a break from exploring to spend time shopping along Avenida Kukulkan or pick up everything you need at Plaza a Fiesta. This city is part of the Riviera Maya, which extends along the Caribbean coast and offers a modern tourist corridor lined by powdery white-sand beaches and some of the best snorkeling and scuba diving spots in the world. In Cabo San Lucas, take a boat ride out to El Arco de Cabo San Lucas (Lands End) for breathtaking views of this well-known landmark. Whether you take a water taxi or a formal tour, the surrounding waters sparkle and you’ll likely get a chance to see lots of whales and sea lions. Great snorkeling can be found at Pelican Rock, while Wild Canyon Adventures offers a variety of land activities like zipline courses, camel rides, and ATV tours. If you’re staying near Mazatlan, make a stop at Bosque de la Ciudad Mazatlan on a Sunday to take in great entertainment, such as mariachi performances. The sprawling park lies in the center of the city and is a great place to spend an afternoon. In Guadalajara, visit the Zoologico Guadalajara to see a variety of exotic animals or stay in Chiapas to discover ancient Mayan ruins at the Palenque archaeological site. Guanajuato has a European flair with narrow cobblestone streets, shady plazas, sidewalk cafes, and a number of museums, while city-lovers will feel at home in the metropolitan Mexico City. For history buffs, Mexico ranks first in the Americas by number of UNESCO World Heritage Sites. Follow the Camino Real de Tierra Adentro (the “Royal Inland Road”) to see five World Heritage sites and dozens of other attractions along this 1,600-mile stretch. The road used to serve as a trade route between cities and today is a popular route for tourists to travel. Visit the Central Valley of Oaxaca to check out the Prehistoric Caves of Yagul and Mitla. The site consists of two Pre-Hispanic archaeological complexes as well as a series of prehistoric caves and rock shelters. Corn cob fragments and ten thousand-year-old seeds show evidence of the shift of nomadic hunter-gatherers to early farmers. In downtown Mexico City, discover the ruins of Tenochtitlan, the Aztec capital, which include five Aztec temples, the largest cathedral on the continent, and the “floating gardens” of Xochimilco. Mexico is renowned for its flavorful foods, culinary traditions, and mouthwatering dishes, with some of the most well-known being tacos, enchiladas, tamales, and quesadillas, among others. Cuisine here tends to be colorful and full of flavor from a variety of spices. Mexican food varies by region, but many dishes draw influence from other parts of the world, including Spain and the Caribbean. Some of the main ingredients used in traditional Mexican meals are maize, beans, chili peppers, avocados, red and white meats. If you’re feeling adventurous, try exotic items like maguey worms, fried ants, and chapulines (grasshoppers). Mexico has a unique adventure, different flavor, and exciting experience for everyone who visits. 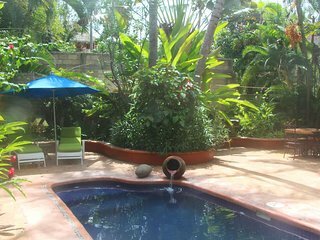 Make yourself comfortable at any of the Mexico vacation rentals in your preferred region then enjoy everything this diverse country has to offer.